To say that having two small children has given me free time would be insane- but it does me strange small pockets of time where I might be wide awake but forced to be still and quite with my thoughts as one baby naps on my left arm and another snores to my right. It’s during these moments of stillness that I’ve been writing short stories and while my goal is to finally get ideas I’ve had for sometimes decades in my head “completed” in some tangible way, I’ve also been slowly trudging through editing and sending them out for publication. 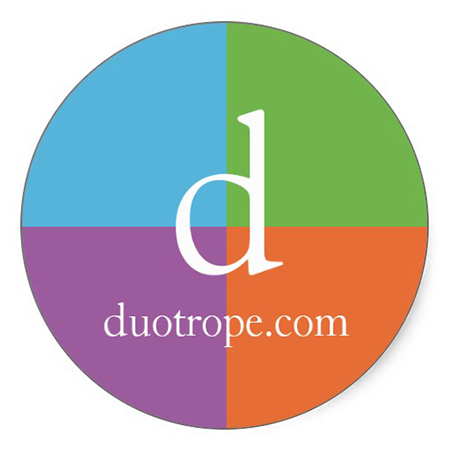 It’s a daunting and humbling process (I’ve racked up two rejections so far with, no doubt, many more to come) but made considerably easier with the website Duotrope. It’s a subscription site loaded with helpful information about publishers, an extensive searchable database and a fantastic Submission Tracker.